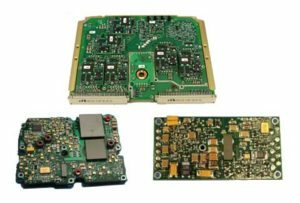 Power Design & Assembly | VPT, Inc.
VPT is your partner for fast, affordable design and assembly of custom avionics, military, and space power systems. As a global leader in high reliability power solutions, we combine experienced power system design, standard power modules, and military quality standards to deliver your system quickly, expertly, and cost-effectively. If you’re short on time, resources, or internal expertise for your power system project, we invite you to consider VPT. We’ll work with you to design and deliver your custom power system on time, within budget, and to your exact specifications. VPT begins with its line of off-the-shelf standard power conversion products and builds on them with additional technology using advanced power electronics design techniques. The incorporation of standard products allows us to design fast and cost effective solutions specifically suited to your power distribution applications. VPT’s technology and attention to detail ensures reliability. Above all, VPT’s military, avionics, and space industry experience ensures your power supply will perform to internal and external application standards. Already designing a new power system in house? If you’re looking to maximize efficiency and cost, then rely on VPT’s engineers and our Technical Design Assistance service. Hosted at the location of your choice, design assistance sessions are tailored to your specific project. Contact us for more information.